Foreign missions in Dhaka and Bangladesh’s foreign friends are closely observing election-related activities in Bangladesh wishing to see a “peaceful election” to keep its progress “unhurt” as the polling date, December 30, is getting closer. The international community thinks a free, participatory and peaceful election will help Bangladesh expedite the ongoing national development process benefitting all the citizens. 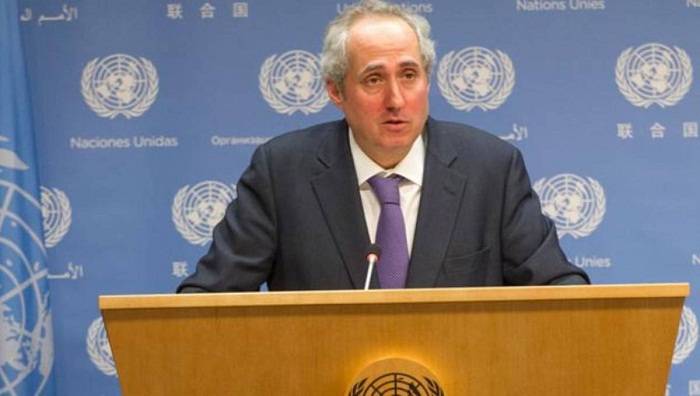 “We believe, as a matter of principles, that elections should be held in a positive climate, free from any sort of intimidation,” said Stephane Dujarric, Spokesman for the UN Secretary-General. Following a request for UN electoral assistance from the Bangladesh Election Commission, Dujarric said the UN office in Bangladesh is providing technical electoral assistance through the UNDP/UN Women's support to the Bangladesh Parliamentary Election Project. The United States House of Representatives, in its latest resolution, reaffirmed the commitment of the US to promote free, fair, transparent and credible elections in Bangladesh. The resolution, resolved on December 12, urged all the political leaders and judicial authorities in Bangladesh to respect the will of voters and ensure that all Bangladeshis will be able to participate freely in the upcoming elections. Though Christmas holiday is approaching, a diplomatic source told UNB that most of the diplomats, with few exceptions, will be in Dhaka during election period. The US will be supporting election observation teams and US-funded National Democratic Institute (NID) sent a five-member pre-assessment mission to Bangladesh in October followed by the second pre-assessment mission in December. NDI's sub-grant partner, the Asian Network for Free Election, has dedicated two international electoral analysts to cover the election and will be sending international long- and short-term observers, said the US Ambassador in Dhaka Earl R Miller. Millar, after his recent meeting with Chief Election Commissioner KM Nurul Huda, said the US embassy will deploy separate election observation teams throughout Bangladesh in cooperation with the United Kingdom and Switzerland which is also funding 15,000 domestic election observers working under the Election Working Group (EWG). “I expect all parties as well as responsible authorities to ensure that the elections can take place in a peaceful and participatory manner, safeguarding the democratic rights of people and contributing to a continued sustainable development of the country,” said Norwegian Ambassador in Dhaka Sidsel Bleken adding that the citizens of Bangladesh have the right to express their political views through free and fair elections. Earlier, heads of Mission of the European Union and the heads of Mission of Norway and Switzerland urged all the political parties to meet their democratic responsibilities and refrain from violence. They also urged the law enforcement agencies to strictly adhere to the rule of law saying media and civil society scrutiny is particularly important in ensuring transparency throughout this process. The European Union, on several occasions, reiterated its position and explained why they are unable to send a full-fledged election observation mission hoping that there will be a “good, contested, free and fair” election in Bangladesh. “I’m very happy that we've a good team of two experts,” EU Ambassador to Bangladesh Rensje Teerink told reporters recently saying the two EU election experts will look into the whole electoral process and probably make some recommendations to their headquarters in Brussels. The two EU election experts are David Noel Ward (team leader) and Eirini-Maria Gounari.